The meeting of Donegal and Antrim hasn't captured the imagination. The beginning of the championship appears to become more low-key with every passing year, and the meeting of Donegal and Antrim hasn’t captured the imagination. It’s a hard game to build up. 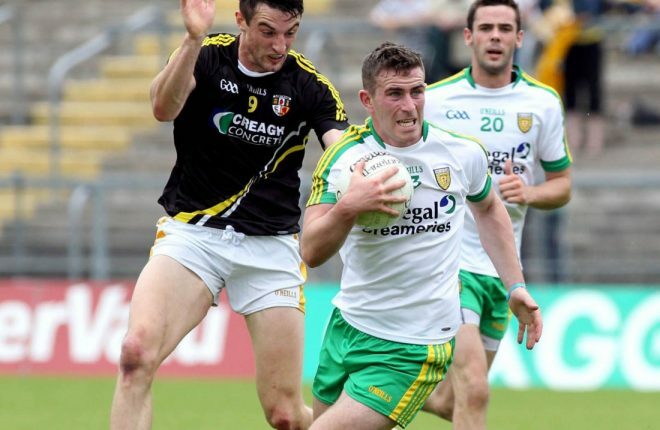 Donegal went very well in Division 1 of the league, whereas Antrim were relegated back down to the fourth tier. On paper, it’s not a contest but the Ulster Championship pits the counties together, and Rory Gallagher and his side can’t afford to get complacent. They must go out and do a professional job and get the win. The Donegal team will show a lot of differences from the side that lost to Dublin last August in our last Championship outing. Of the 21 players that featured in the green and gold that day, eight will not be available to Rory Gallagher this weekend, including the injured Kieran Gillespie. The lads that came in during the National League did very well, but this is another big step for them this weekend.